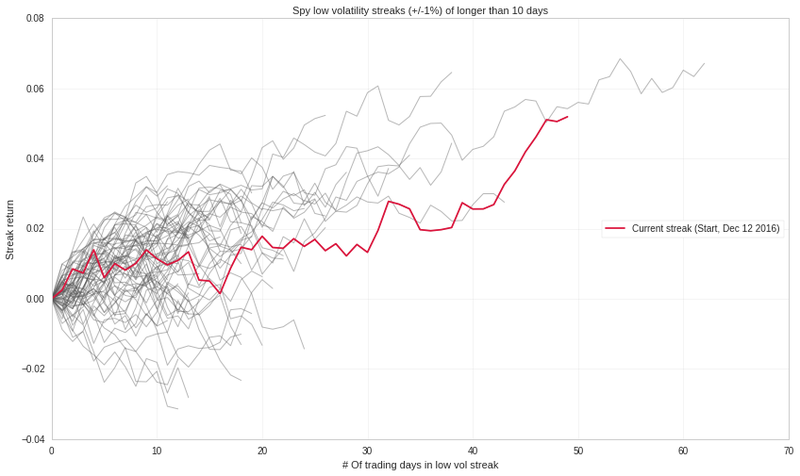 Spx is on a low volatility streak, taking a look at how long the streaks usually last and how the current streak relates to past instances. 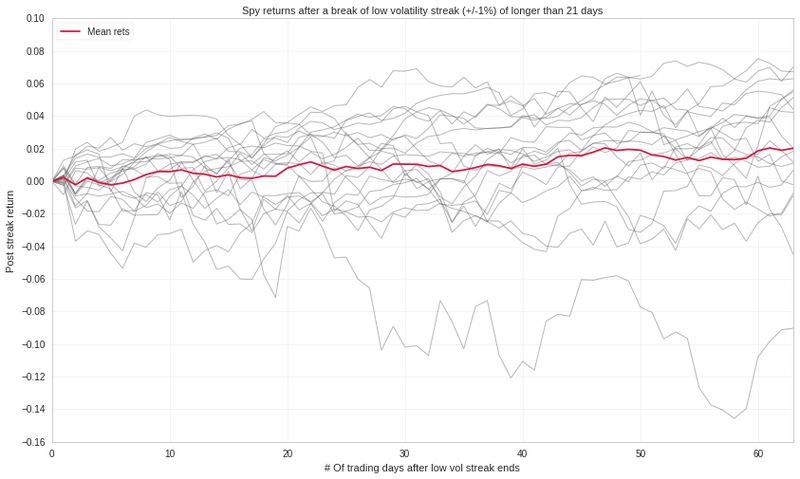 Also looking at Spx returns once the spell breaks – as do probably most others, i expected volatility to pick up, that does not seem to be the case. Bill Luby of Vix And More had a recent post supporting the case for low volatility feeding low volatility on a more long term basis. I myself look at a shorter timeframe but its good to keep longer timeframe in mind and not get overly carried away whenever Vix is asleep.